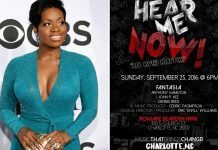 R&B singer Fantasia is back and more ready than ever! 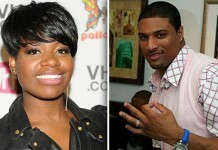 In an effort to promote her brand new album Back to Me, the former American Idol winner performed at Palm’s Casino Resort’s Rain Nightclub in Las Vegas over the weekend and told the crowd that people may have thought she was done for….but now they’re going to be in for a rude awakening. Good for you Fannie….we knew all of that was just a phase. Snoop Dogg also took the stage along with Fannie at the nightclub as other celebs like Demi Moore, Ashton Kutcher, Michael Phelps and Soleil Moon Frye took in the concert from the audience.